Email has been the king in business communications for some time now, previously beating out desk phones and calling between coworkers. With email, communication between coworkers could happen quicker and at more convenient times. Email offered a single place to keep track of all your incoming and outgoing contacts, with some attempt to keep it all organized. But the phone never went away, and neither did good old fashioned snail mail. Email will probably never go away, but it should become less relied upon. The next biggest shift in workplace communications seems to be gravitating towards Team Collaboration solutions. Slack has been making waves in the news and is probably one of the quickest examples of team collaboration done right. However, don’t just assume these solutions are the next generation of Yahoo or AOL messenger. Shifting the focus away from email, these team collaboration services allow workers to get more work done, and get it done faster. Based on the Cloud, these solutions keep files where you need them, and allow for persistence in your messages – they’re always right where you left them. Team collaboration solutions free up teams to do just that, collaborate. If you’re still on the fence and unsure if it’s time to break the reliance on email, we put together a list outlining some of benefits adopting a team collaboration solution over traditional email brings to the table. Email allows us to quickly put our thoughts down and send the message along. On the flip side, email also offers us one specific location to access all of our communications. But email relies on a siloed approach, and often works more as a one-way street only pushing information. If you have a new memo to share with the team, you push it out in one single email blast for all to see. Any questions or requests come in channels from each individual recipient, and this proves difficult to keep track of them all. Team collaboration apps structure our communication in a much more efficient way, focusing specifically on the content and not just the message. With the content in the forefront, collaboration apps promote not just the push out information to other people, but also an opposite pull effect. Instead of blasting one email to 10 people with an update on your latest project, collaboration apps let youstart a room or conversation with the necessary and relevant 10 people, label it “Q2 Memo,” drop the file right in, and watch as your coworkers begin not just a conversation but a process of collaboration. The free flowing chat of collaboration apps allows for each member of the team to interact with the group directly, instead of questions come in one-by-one. The structure of collaboration solutions also allows workers to drop in when most convenient to them, catch up on everything missed, and chime in whenever something relevant comes up. Email doesn’t allow for this free flow, conversational structure, but limits the back and forth collaboration. One conversation at a time, with a long list of back and forth, it’s easy to get lost in a string of emails. “Where’s that message Steve sent me about the new TPS reports?” Before you know it, 15 minutes have gone by and you still can’t find that single attachment you desperately need before the meeting! Collaboration apps make organization easy, as they are built around the idea of staying organized, with content and files living directly in your rooms. With the ability to organize projects and teams into specific rooms or conversations, this cuts down on time spent hunting between 15 different emails from the same person, just to find that one relevant email, or specific chain of information. 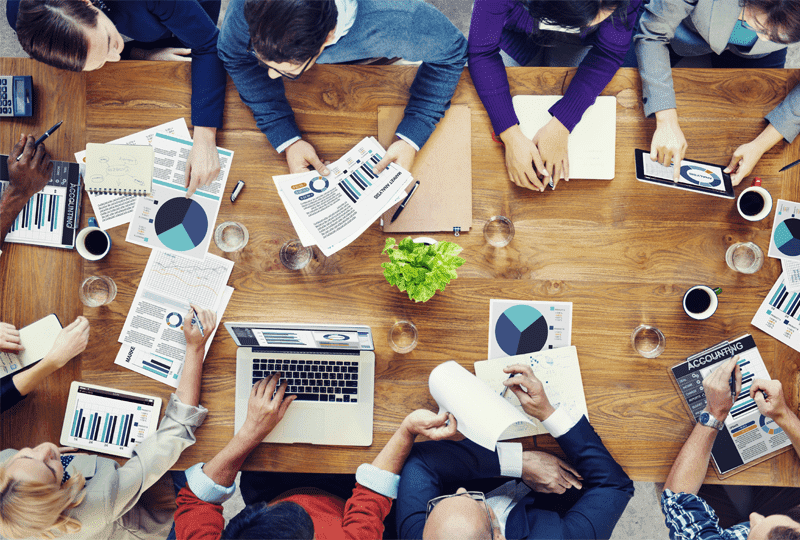 Instead, with Team Collaboration solutions, you can just drop right into the clearly labeled room and find whatever it is you need by scrolling through the content. On top of organized communications, Team Collaboration apps contain a powerful search function to sift through both the written text and any files stored within the rooms. As these collaboration apps are persistent, the conversation you had two days ago doesn’t disappear – you just have to scroll up and see what Steve told you about the meeting. These individual rooms for specific projects or collaboration with specific coworkers means staying on top of projects is as easy as dropping a quick message in the relevant room, again promoting collaboration – any and all parties can see the message and chime in if necessary, and when they best get a chance. No more are the days of starting an email thread, CCing the wrong person, or halfway through noticing your conversation is missing half the team. I keep referring to this notion of persistence, but what does it actually mean? Everything (messages, files, meetings) sent and received in these Team Collaboration apps is stored in the cloud, persisted there and accessible by all clients from just about anywhere. With everything handled in a cloud network, everything can remain exactly where it is, no matter what device you access it on. And unlike email, these collaboration apps aren’t just one to one, but allow for group chat that is always mobile and always on. If you want to get work done and solve a problem, you need more than just one person to join in on the conversation, and team collaboration apps are the tools that empower teams to work in groups. But as the size of a group grows, the chance that everyone is all online at the same time to read your messages is slim. This is, again, where the persistent nature of the cloud comes in. 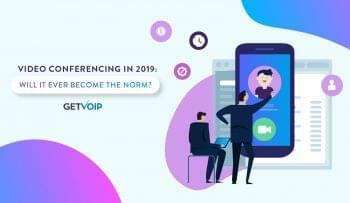 With Team Collaboration apps, between a desktop client, a mobile phone client, or even an online web browser client, it’s possible to stay connected on any device, anywhere. Combined with the persistent chat and file hosting, accessing the information you need to get work done can happen instantly. Missed a day at the office? Launch the app on your phone and stay up to date as the cloud pulls in all the messages you missed. Forgot your laptop with the updated TPS report on it in the office? No problem, just log into your team collaboration app on your smart phone or even home computer, peek into the room where the file was dropped and download it to your device. These team collaboration apps aren’t just a prettier version of old school instant messengers, but offer customizable and powerful work collaboration experiences. With the creative mind of a developer, and supplied APIs, teams can fully customize their solutions to create a truly unique experience, and bridge the gap between other productivity tools. Simple additions like chat bots can allow for users to keep ongoing task lists right in their collaboration room, or set reminders, or even make file sharing easier. Additions like IBM’s Watson technology to Cisco Spark will spawn a new level of personal assistant that lives right inside your collaboration platform. One step further is the power of integrations. Through integrations with popular work applications from Office 365 and DropBox, to integrations with popular CRM’s like Salesforce and Zendesk, teams can build their own collaboration app that works with the other apps they already utilize. Integrations allow for customization that email just simply cannot do. Directly linking Salesforce to your collaboration app can create a new chat room every time a new call ticket is opened, so workers can write in necessary information, drop in necessary files and keep track of the call or ticket progress. Because these rooms are persistent and linked to Salesforce, all of the information stays even after the call. If you even need assistance from another agent, simply add the agent or any relevant team members to the room and begin collaborating! What you can do with integrations and chatbots is only limited by your creativity. With content at the forefront of collaboration, file dropping is just another part of what makes these collaboration solutions so powerful for groups looking to get more done. Content is central to the task at hand, and when shared on collaboration apps the file lives directly in the room. This way you can act, react and keep an ongoing history of any changes. How many times have you sent an email but forgot to include the attachment? That will never happen again with collaboration apps as your main method of communication. Files don’t have to be sent as attachments to messages, and can be easily dragged and dropped directly into your room or conversation. Through the power of the cloud and persistence of messaging, attachments won’t get lost in email chains longer than your inbox. File sharing through email just increases the clutter, and requires workers to stay on top of their inbox pulling them away from work. Again with persistence on all platforms, files can be access anywhere at any time, along with all the collaboration and work that goes with it. As the workplace changes, so do the tools we use to get work done. Email was once the king, beating out phone and even video calls to stay connected. Team Collaboration apps offer a new shift in the way we get work done. Persistence of messaging and powerful file sharing keep the content at the focus, and empowers natural collaboration between team members where ever they may be. While they may never truly replace email, Team Collaboration and Business Messaging apps will work to supplement the daily flood of emails, and keep your inbox clutter free. Meetings will happen constantly, instantaneously and productivity can reach new levels when collaboration is the focus. If you think a Team Collaboration app would fit your business, you can take a look at our breakdown of each provider and what their service offers. 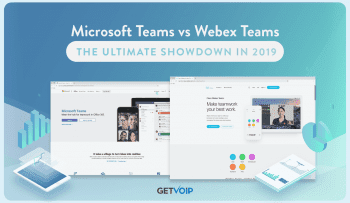 To provide better insight on which platform works best, you can also check out our Chat Wars comparison series where we put Cisco Spark and HipChat against the most popular collaboration app, Slack.